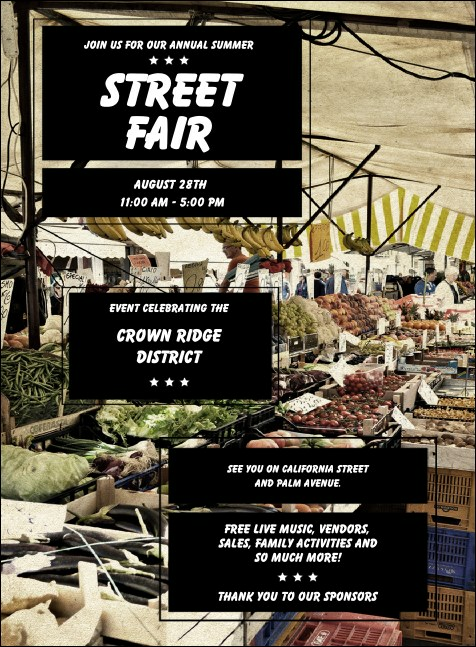 Invite healthy activities and local spirit into your event when you send out the Street Fair Market Invitation in advance. This invitation, made with high quality card stock, features fresh images of fruits and veggies ready for your friends and neighbors. Fill in the easy template below to get started. Get that RSVP with the right invitation from TicketPrinting.com.